A patent is a government document giving the inventor a temporary monopoly over the use of a particular claimed invention. A patent can be considered to be an agreement between the inventor and the public. If the invention is both “novel” and “non-obvious,” then, in return for fully disclosing the invention, the inventor is given a temporary monopoly over it by the government. 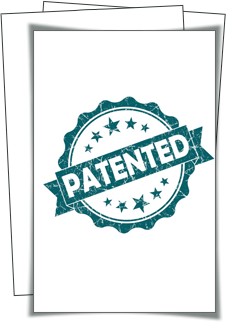 Patents can be difficult to obtain but can offer strong protection for an invention if drafted properly. The complexity of the patent system created by the courts and patent offices throughout the world creates a situation where (having seen many patent applications drafted by inventors) we find working with a registered patent attorney or agent essential—there is simply too much at stake. In a 2013 lawsuit, for instance, one patent that included the claim language “program code configured to” in the preamble resulted in no damages, while another patent with claims which instead included the language “computer instructions to implement” resulted in a $345 million damage award. Versata Software, Inc. v. SAP America, Inc., 717 F.3d 1255 Fed. Circ. (2013). These fine claim drafting distinctions are exactly the kind of detail that inventors might be unaware of and that can make the difference between an extremely valuable patent on one hand and a relatively worthless patent on the other. There are three kinds of patents: utility patents protect useful inventions, design patents protect the ornamental design of an article of manufacture, and plant patents protect asexually reproduced plants. A “non-provisional” patent application is a formal application with claims and description examined by a patent examiner that can mature into an issued patent. A “provisional” patent application is a disclosure document that is not examined by an examiner and serves as a one-year placeholder to establish a filing date. It cannot issue as a patent, but it can be a cost-effective way to hold a place in line for a year while testing the market or engaging in further development before deciding whether to file a nonprovisional application. Each type of patent and each type of application can be a powerful asset when strategically acquired and used properly. Whether you are an established business with extensive patent experience, a startup with moderate exposure to patents, or an independent inventor with a single idea for an invention, we can help. Please contact us with questions about patent law and to schedule an appointment.